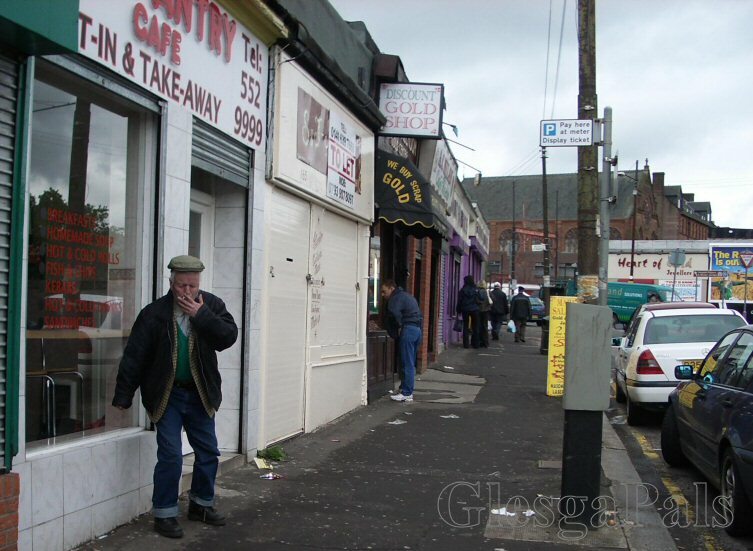 London Road at the Barras May 2006 - St Alphonsus Chapel top right. 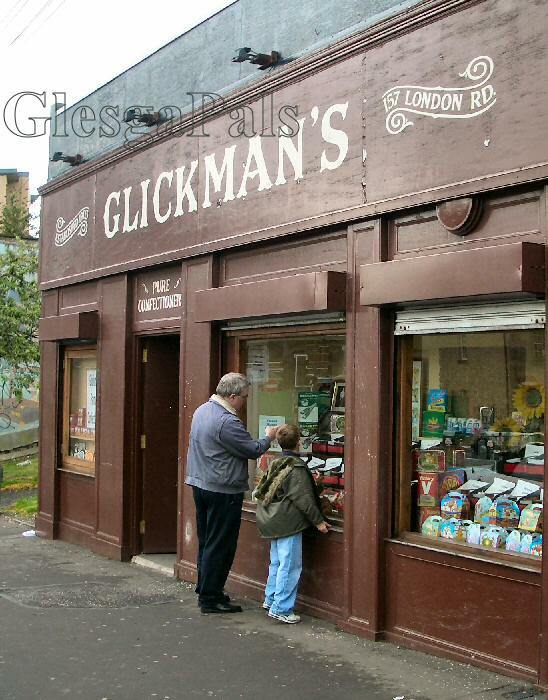 Glickman's is a famous sweetie shop established in 1903 and many a time my granny took me in there for sweeties. note the wee boy is on his tip toes stretching to see what he is being shown. Ah wonder if his Granda did buy him a bag o' sweeties?